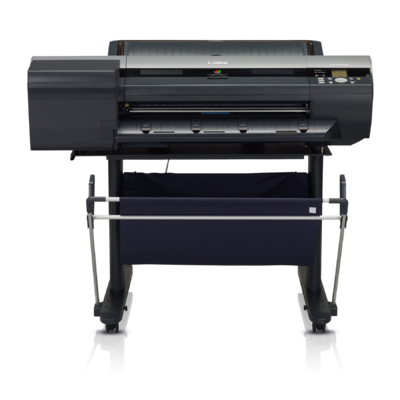 The imagePROGRAF iPF6450, 24-inch large format printer was designed for professionals in the graphic, fine art, photography and proofing markets that seek the highest possible standards for quality-control and image reproduction. An incredibly large colour spectrum is produced by the 12-colour LUCIA EX pigment ink set, which also provides better scratch resistance and smoother gradations. 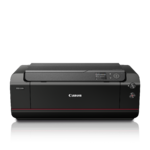 The new Multi-sensor included with this printer provides improved colour density detection and allows for a full calibration to be completed within 15 minutes, with the ability to use non-Canon branded media. A new colour Calibration Management System allows for colour calibration targets to be created using the iPF6450 with optional spectrophotometer and shared across all new iPFX400 12-colour printers, and the included software allows for all printers on the network to be monitored from one central location. The printer supports ink tank sizes of 130ml and for the first time, 300ml, and the new sub-ink tank keeps some ink in reserve to allow for tanks to be changed without interrupting a print. In the printer’s highest print mode, the order of ink application and layering is optimized to maintain the highest print quality with fewer passes, making this mode twice as fast compared to previous models. The iPF6450 is also equipped with a large 250GB hard drive, geared to increase productivity in high volume printing and streamlined workflows, while allowing for faster processing of large files as well as the ability to reprint jobs directly from the printer. As an optional add-on to the iPF6450, the SU-21 Spectrophotometer features a scan speed of 10 inches per second and can accommodate media of different thicknesses (Canon or non-Canon branded) thanks to the mobile carriage the device is placed on, which attaches right onto the front of the printer. The device also includes a user-switchable UV blocking filter that can be switched on and off according to paper type, eliminating the need to purchase individual sensors. 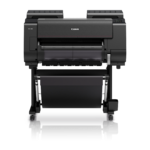 To expand printing options and capabilities, the iPF6450 printer comes bundled with a Print Plug-in for Adobe Photoshop, Digital Photo Professional, and Microsoft Office. The enhanced Print Plug-in for Adobe Photoshop includes a new Adjustment Pattern Setting which allows for multiples of an image to be printed at once with different colour values implemented and displayed. 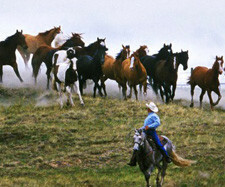 Gallery wraps for canvas prints can now be created using the new Gallery Wrap Feature. 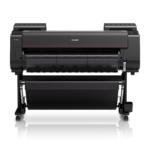 To improve versatility, the iPF6450 has a media configuration tool which allows customers to not only utilize existing Canon-branded media, but also with third party media. 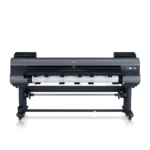 Designed for efficiency, reliability, and above all quality, the iPF6450 is the professional's answer to superior quality large format prints.